You know that time you crave a roast chicken with some sides? Well this is the perfect place for it. 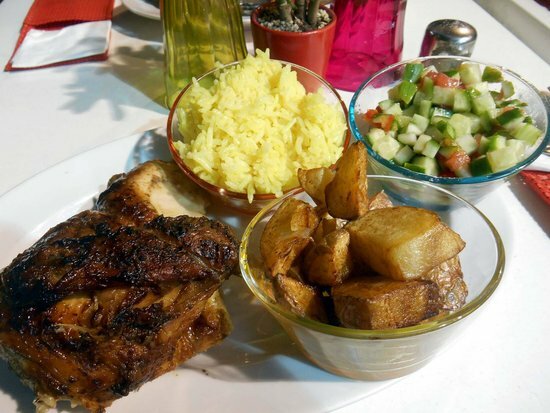 Juicy roast chicken with a choice of several sides really good, price is fair too. Juicy roast chicken with perfect crispy skin. And rice salad coleslaw and potatoes all on one plate. Finger licking unavoidable. Friendly service. Casual table service. We loved it ! Prices were fair, and the side dishes are fine, but the chicken was overcooked and the staff unapologetic about it. Very tasty rotisserie chicken, but not cheap. Was enjoyed by young and old. Ordered 2 whole chickens, cut up for our Sabbath meal. It didn't dry out and was lovely and moist. Such a non-descript place, but amazingly delicious food. One main item...chicken. Roasted with such nice favors. Loved the whole meal! 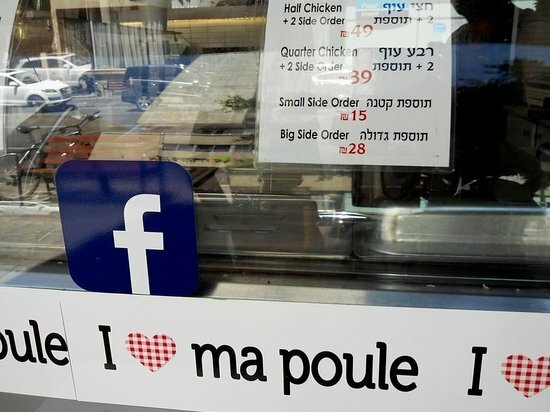 My kids and I love Ma Poule grilled chicken and their side dishes. The only problem is that if you don't call and order your chicken - you may not have one....Very popular dine in and take away spot especially in the summer. 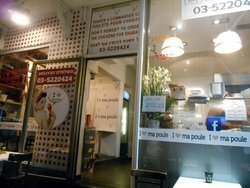 Get quick answers from Ma Poule staff and past visitors.